What is Kala Sarpa dosham? 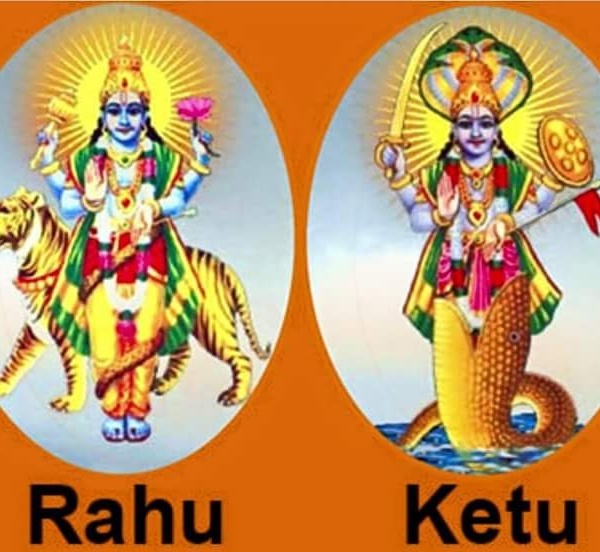 Astrologically, when all the planets are sandwiched between Rahu and Ketu, it is deemed to be Kala Sarpa. If the planets are moving towards Ketu, it is Kala Sarpa Yoga and If the planets are moving towards Rahu, it is Kala Sarpa dosha. Eg for Yoga: Sachin Ramesh Tendulkar, Jawaharlal Nehru. If the ascendant or Moon is not in the axis and all the planets are in between Rahu and Ketu, it is also Kala Sarpa yoga, even though the planets are moving towards Rahu. Eg: Actor Rajinikanth, Tom Cruise and Arnold Schwarzenegger. Kala Sarpa Yoga is oftentimes genetic, meaning that it will be passed on from one generation to another through the DNA. Further, there is a critical age associated with Kala Sarpa yoga. i.e. 33 Years. At this age, an important reversal of energy occurs. For example, if up to the age of 33, you have suffered then after this age, success will start to come often unexpectedly and in major ways. The converse is also true. If in your younger years you had noteworthy success, you may become introduced to difficulties and blockages, halting your successful progress after the age of 33. Former President George W. Bush is a famous example of this reversal of fortune. In his youth he was rebellious, an alcoholic, on marijuana and even held a criminal record for driving while intoxicated. After the age of 33, his life changed. He stabilized himself and made financial gains. He also established a successful political career after the age of 33. Kala Sarpa yoga or dosha in ancient tradition is believed to be caused when either you or your ancestors have killed or harmed snakes instead of respecting and worshiping them in a previous birth. It's generally believed that the presence of Kala Sarpa Yoga weakens the chart of the native. But in sharp contrast, there are many world famous leaders and celebrities who have had this yoga. In reality, what this yoga shows is the development of certain strengths at the expense of others. Sachin Tendulkar, Rajinikanth, George W. Bush, Mahatma Gandhi, Nelson Mandela, Alfred Hitchcock to name a few...all have Kala Sarpa yoga in their chart. As we are aware that if all the planets are under the clutches of Rahu and Ketu, it is called Kala Sarpa dosha. The people who were born during this period may not get benefits especially when it is during Rahu or Ketu Dasha. If proper remedies are performed, it will bless the natives with all the benefits and take them to higher positions. •	Sudden fall in wealth and reputation. People who were born in 1984, 1989, 1990, 1992, 1993 1994 and 1999 are not subjected to Kala Sarpa dosha. • From January 15 to January 25, 1980. •	From September 5 to September 21, 1980. • From January 1, 1981 to January 8, 1981. •	From August 27, 1981 to September 11, 1981. •	From September 23, 1981 to October 9, 1981. •	From October 20, 1981 to November 5, 1981. • From August 17, 1982 to August 28, 1982. •	From October 9, 1982 to October 22, 1982. •	From November 6, 1982 November 20, 1982. • From July 13, 1983 to July 21, 1983. •	From September 1, 1983 to September 14, 1983. •	From September 27, 1983 to October 11, 1983. •	From October 14, 1983 to November 7, 1983. • From January 18, 1985 to January 28, 1985. •	From March 10, 1985 to March 25, 1985. •	From April 6, 1985 to April 15, 1985. •	From December 8, 1985 to December 23, 1985. • From January 5, 1986 to January 19, 1986. •	From February 28, 1986 to March 15, 1986. •	From March 28, 1986 to April 11, 1986. •	From September 18, 1986 to September 20, 1986.